Cardinal Dolan hugs Leilani Aviles after the senior from the Academy of Mount St. Ursula in the Bronx delivered the word of gratitude to the cardinal near the end of the Mass for the Class of 2018 at St. Patrick’s Cathedral April 23. About 1,900 students from 21 schools attended the first of two Masses honoring Catholic high school seniors in the archdiocese. Students from John S. Burke High School in Goshen listen during the Mass. Kelly Brann was still as excited when she was leaving St. Patrick’s Cathedral as she was when she departed John F. Kennedy Catholic High School in Somers earlier in the day. The parishioner of St. Lawrence O’Toole in Brewster was one of about 1,900 Catholic high school seniors from 21 schools at the Mass for the Class of 2018 celebrated by Cardinal Dolan at St. Patrick’s Cathedral April 23. “I thought it was amazing,” Kelly said. “We took a coach bus down here. We got to school at 6:50 (a.m.). The Mass was beautiful, the homily was great, and the (student) speaker at the end was really great. The Mass for Catholic high school seniors was the first celebrated this spring by Cardinal Dolan at St. Patrick’s Cathedral. The cardinal was scheduled to celebrate a second Mass with about 1,900 high school seniors from 18 schools April 25. 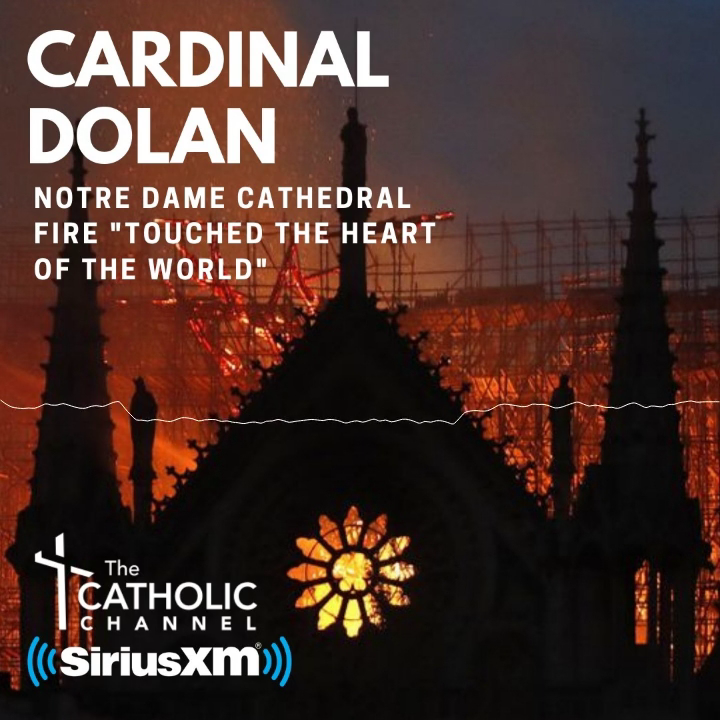 Cardinal Dolan shared the story of French police officer Lt. Col. Arnaud Beltrame, a Catholic who sacrificed his life by becoming a gunman’s hostage in a supermarket in France. Lt. Col. Beltrame, who walked into the supermarket in exchange for the freedom of one hostage, was one of four people killed by the gunman last month. Cardinal Dolan said there are three lessons shared by Lt. Col. Beltrame that the students have learned from attending Catholic high schools—Jesus Christ is the most important person in our lives, Jesus and other people come before ourselves, and God has a plan for us. “Our life is not arbitrary. Our life is not a coincidence. Our life is never without meaning because God has a plan for us. We are in his hands,” the cardinal said. Cardinal Dolan concluded his homily by delivering one final message to the Class of 2018. “Now it’s your turn to make a big difference in the world,” he said. Before Mass, students were offered an opportunity for confession, and Dr. Timothy J. McNiff, superintendent of archdiocesan schools, addressed the students. “I thank you because you’ve become perfect ambassadors for Catholic education and your school,” the superintendent said. High school students were chosen to serve as altar servers, lectors, musicians, singers and presenters of gifts. Leilani Aviles, a senior at the Academy of Mount St. Ursula in the Bronx, delivered the words of gratitude to Cardinal Dolan and the Class of 2018 in the archdiocese. “We gather today as a community and we give thanks for the opportunities and blessings we have received from our Catholic education and devoted high schools,” Leilani said. Colin Shust, a senior at John S. Burke High School in Goshen who was one of the lectors at the Mass, admitted being nervous looking out into the cathedral from the altar. The parishioner of St. John the Evangelist in Goshen said he’d always remember the early morning bus trip with classmates. “It was an amazing time, a great experience from the time we got up to get on the bus,” said Colin, who was attending his first Mass at the cathedral. “Everybody knows it’s St. Patrick’s Cathedral, and it’s a beautiful place.